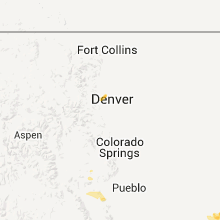 The Leyner, CO area has had 0 reports of on-the-ground hail by trained spotters, and has been under severe weather warnings 19 times during the past 12 months. 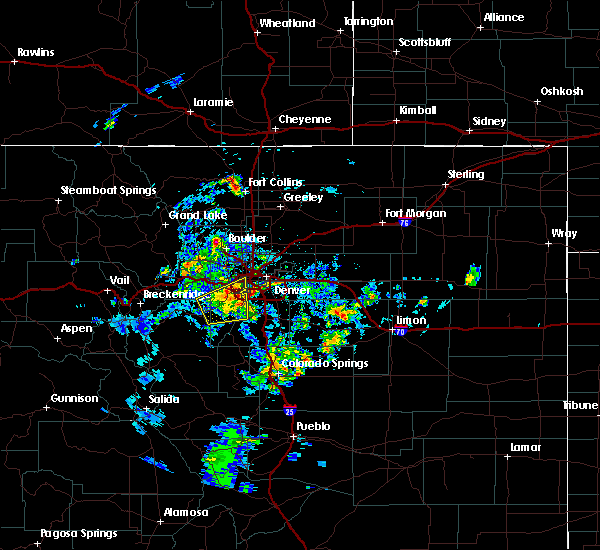 Doppler radar has detected hail at or near Leyner, CO on 18 occasions, including 6 occasions during the past year. 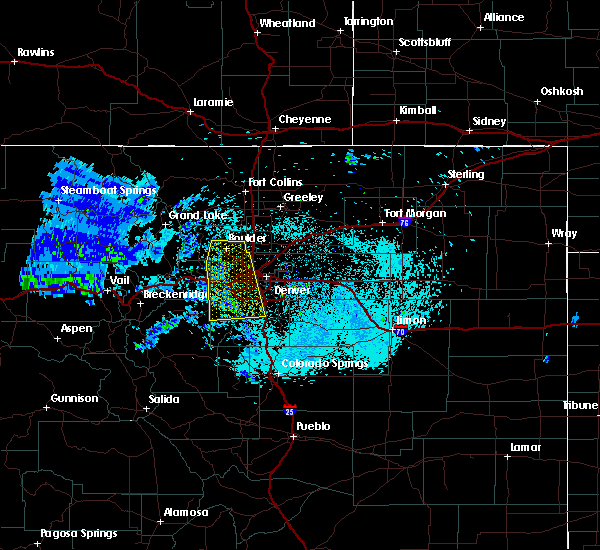 8/18/2018 10:10 PM MDT At 1009 pm mdt, a severe thunderstorm was located near erie, or 24 miles north of denver, moving southeast at 30 mph (radar indicated). Hazards include 60 mph wind gusts and quarter size hail. Expect damage to roofs, siding, and trees. Hail damage to vehicles is expected. 8/3/2018 9:26 PM MDT The severe thunderstorm warning for north central douglas, broomfield, southwestern arapahoe, southeastern gilpin, southwestern denver, jefferson, west central adams and southeastern boulder counties will expire at 930 pm mdt, the winds which prompted the warning have weakened below severe limits, and no longer poses an immediate threat to life or property. therefore, the warning will be allowed to expire. however gusty winds to 50 mph are still possible with in and near the foothills. 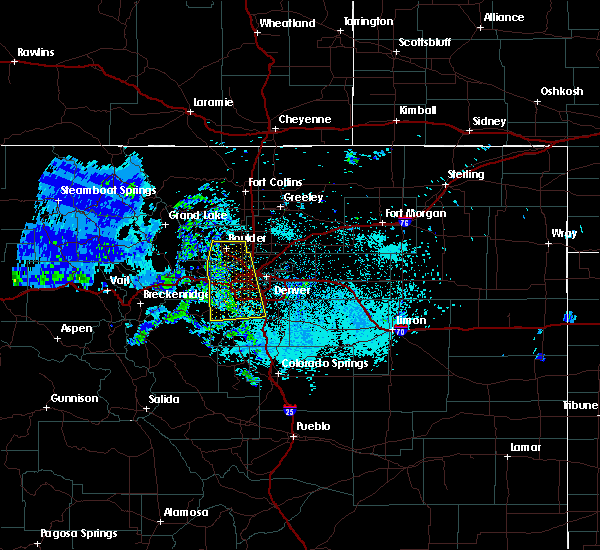 8/3/2018 9:15 PM MDT At 912 pm mdt, doppler radar and reports indicate strong winds to 65 mph in and near the foothiills associated with dissipating thunderstorms over the foothills northwest of denver. wind gusts of 60 to 65 mph will remain possible with this activity over western parts of the denver metro area (radar indicated). Hazards include 60 mph wind gusts. Expect damage to roofs, siding, and trees. Locations impacted include, western denver, lakewood, southwestern thornton, arvada, westminster, southwestern centennial, boulder, broomfield, highlands ranch, northwestern castle rock, littleton, southwestern northglenn, englewood, wheat ridge, lafayette, golden, louisville, erie, greenwood village and evergreen. 7/25/2018 7:08 PM MDT At 707 pm mdt, a severe thunderstorm was located over northern commerce city, or 12 miles northeast of denver, moving southeast at 30 mph (radar indicated). Hazards include ping pong ball size hail and 60 mph wind gusts. Expect damage to roofs, siding, and trees. people and animals outdoors will be injured. expect hail damage to roofs, siding, windows, and vehicles. 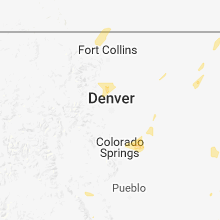 Locations impacted include, northern denver, thornton, northeastern westminster, northeastern broomfield, commerce city, northglenn, brighton, lafayette, erie, firestone, northwestern denver international airport, frederick, lochbuie, dacono and barr lake. 7/25/2018 6:38 PM MDT At 637 pm mdt, a severe thunderstorm was located over erie, or 22 miles north of denver, moving southeast at 30 mph (radar indicated). Hazards include 60 mph wind gusts and half dollar size hail. Expect damage to roofs, siding, and trees. Hail damage to vehicles is expected. 6/19/2018 12:43 PM MDT At 1243 pm mdt, a severe thunderstorm was located 4 miles east of niwot, moving east at 25 mph. a trained spotter reported quarter size hail near niwot at 1239 pm mdt (trained weather spotters). Hazards include quarter size hail. Damage to vehicles is expected. locations impacted include, longmont, lafayette, erie, firestone, frederick, fort lupton, dacono, mead and niwot. A tornado watch remains in effect until 700 pm mdt for northeastern colorado. 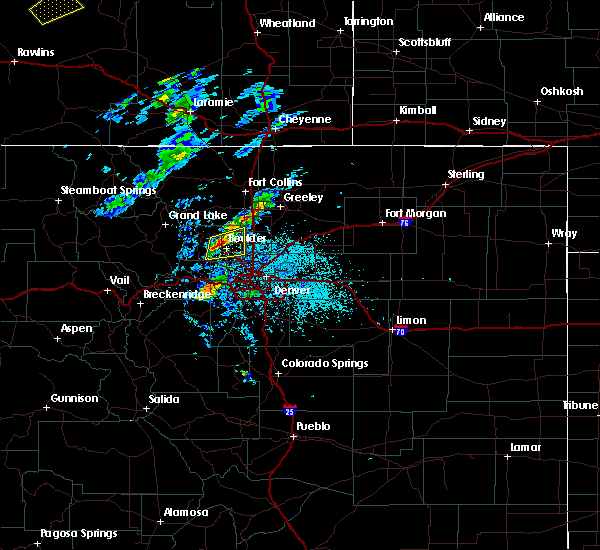 6/19/2018 12:16 PM MDT At 1216 pm mdt, a severe thunderstorm was located over north boulder, moving east at 20 mph (radar indicated). Hazards include quarter size hail. Damage to vehicles is expected. 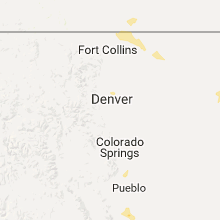 Locations impacted include, boulder, longmont, lafayette, erie and niwot. 6/18/2018 7:44 PM MDT At 744 pm mdt, a severe thunderstorm was located over lafayette, or 20 miles north of denver, moving east at 15 mph. goldball hail has been reported with this storm (trained weather spotters). Hazards include golf ball size hail. People and animals outdoors will be injured. expect damage to roofs, siding, windows, and vehicles. Locations impacted include, northern thornton, northeastern westminster, southeastern longmont, broomfield, brighton, lafayette, louisville, erie, superior, frederick, dacono and niwot. 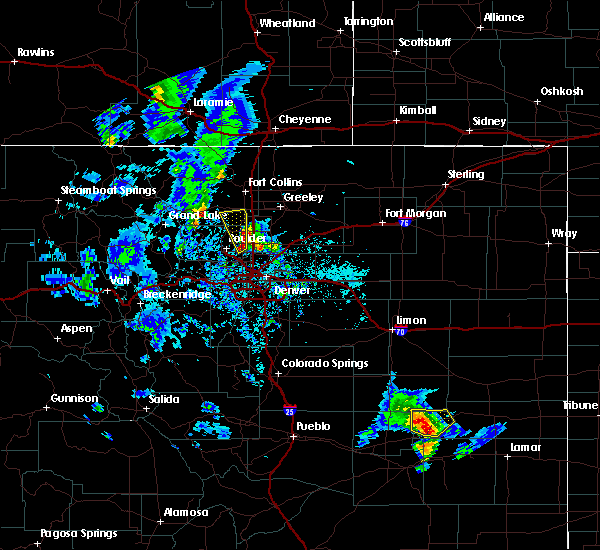 6/18/2018 7:24 PM MDT At 724 pm mdt, a severe thunderstorm was located near boulder, or 22 miles northwest of denver, moving northeast at 15 mph (radar indicated). Hazards include ping pong ball size hail. People and animals outdoors will be injured. Expect damage to roofs, siding, windows, and vehicles. 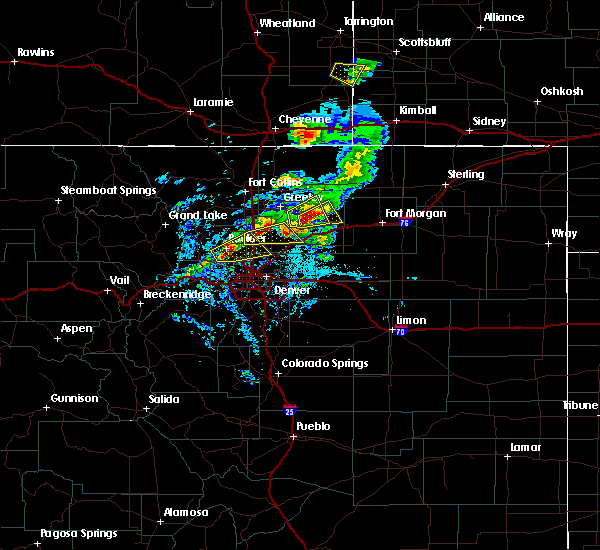 6/18/2018 6:33 PM MDT At 632 pm mdt, a severe thunderstorm was located 4 miles north of erie, or 25 miles north of denver, moving east at 30 mph. a second severe thunderstorm was located 2 miles north of platteville, moving east at 30 mph. 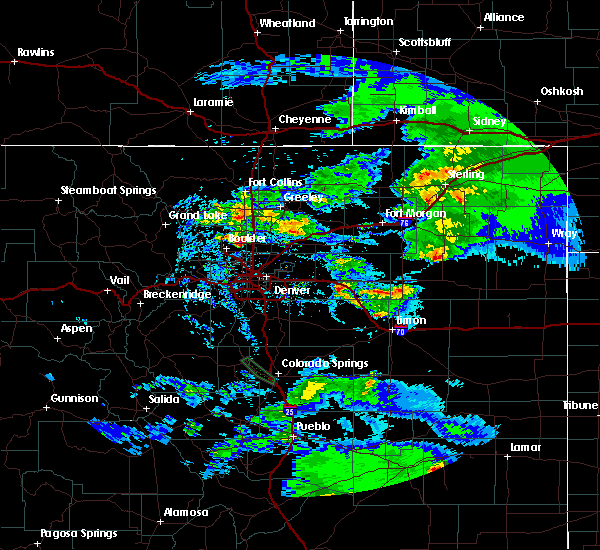 trained weather spotters reported quarter size hail just north of platteville (trained weather spotters). Hazards include quarter size hail. Damage to vehicles is expected. Locations impacted include, southwestern greeley, northeastern boulder, longmont, lafayette, windsor, erie, firestone, johnstown, frederick, fort lupton, milliken, berthoud, dacono, mead, platteville, hudson, keenesburg, gilcrest and niwot. 6/18/2018 6:02 PM MDT At 601 pm mdt, a severe thunderstorm was located over northwestern boulder, moving northeast at 20 mph (trained spotters reported quarter size hail at 555 pm mdt). Hazards include quarter size hail. Damage to vehicles is expected. Locations impacted include, boulder, western longmont, northern broomfield, lafayette, louisville, erie, crisman, and niwot. 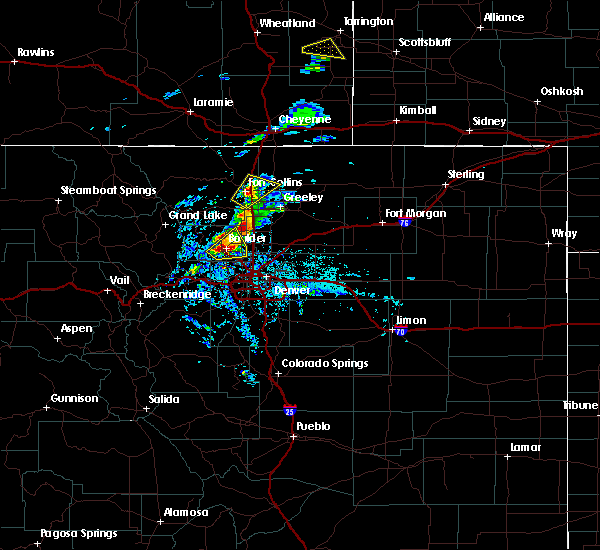 5/22/2018 5:07 PM MDT At 506 pm mdt, a severe thunderstorm was located near longmont, or 27 miles southwest of greeley, moving north at 25 mph (radar indicated). Hazards include 60 mph wind gusts and quarter size hail. Hail damage to vehicles is expected. expect wind damage to roofs, siding, and trees. 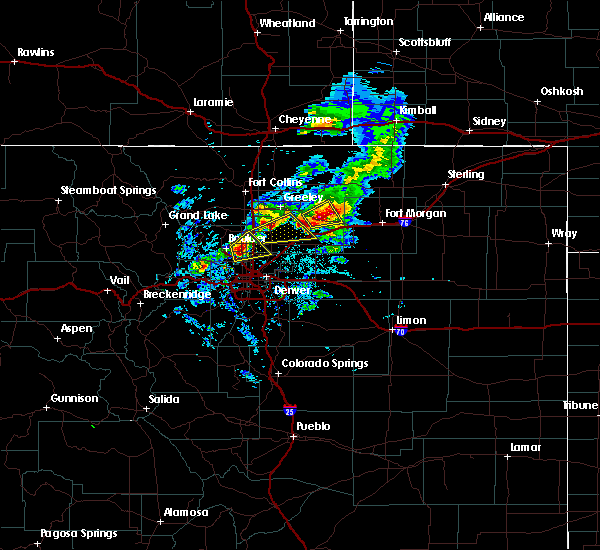 Locations impacted include, longmont, southwestern loveland, lafayette, erie, berthoud and niwot. 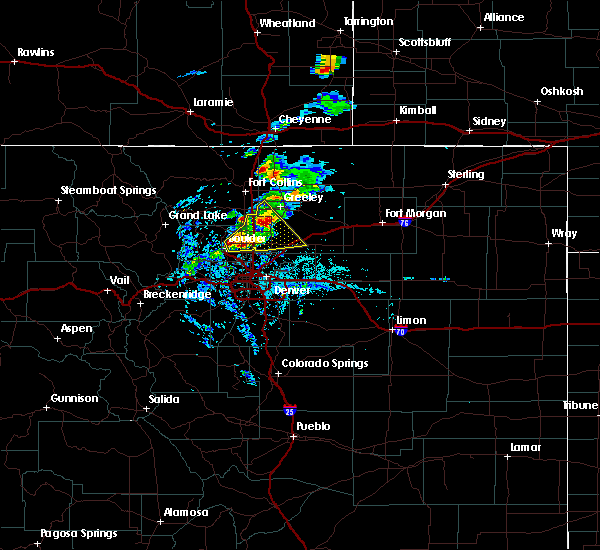 5/22/2018 4:56 PM MDT At 456 pm mdt, a severe thunderstorm was located near erie, or 23 miles north of denver, moving north at 25 mph (radar indicated). Hazards include 60 mph wind gusts and quarter size hail. Hail damage to vehicles is expected. Expect wind damage to roofs, siding, and trees. 7/19/2016 6:36 PM MDT At 635 pm mdt, a severe thunderstorm was located near sunshine, or 31 miles northwest of denver, moving northeast at 20 mph (radar indicated). Hazards include 60 mph wind gusts and quarter size hail. Hail damage to vehicles is expected. Expect wind damage to roofs, siding, and trees. 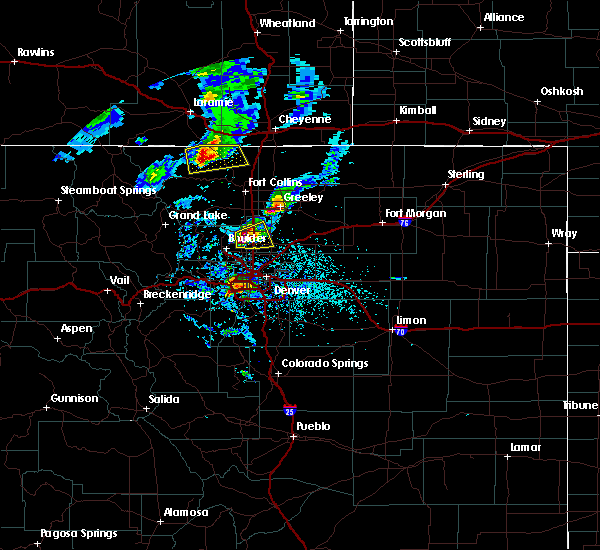 6/18/2015 9:07 PM MDT At 906 pm mdt, a severe thunderstorm was located over broomfield, or 17 miles northwest of denver, moving east at 25 mph (trained weather spotters). Hazards include half dollar size hail. Damage to vehicles is expected. 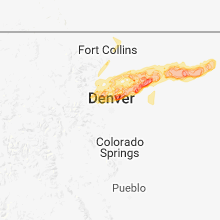 Locations impacted include, thornton, northwestern arvada, westminster, southern boulder, broomfield, northern commerce city, northglenn, brighton, lafayette, louisville, erie, superior, federal heights, firestone, frederick, dacono, eldorado springs and rocky flats. 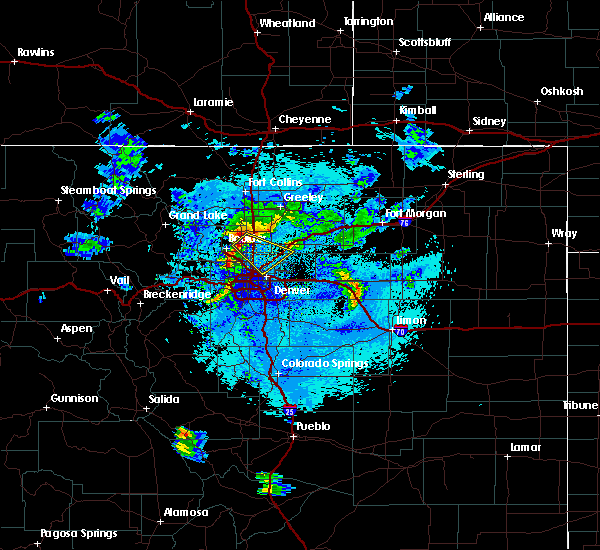 6/18/2015 8:53 PM MDT At 853 pm mdt, a severe thunderstorm was located over superior, or 18 miles northwest of denver, moving east at 25 mph (radar indicated). Hazards include ping pong ball size hail. People and animals outdoors will be injured. Expect damage to roofs, siding, windows and vehicles. 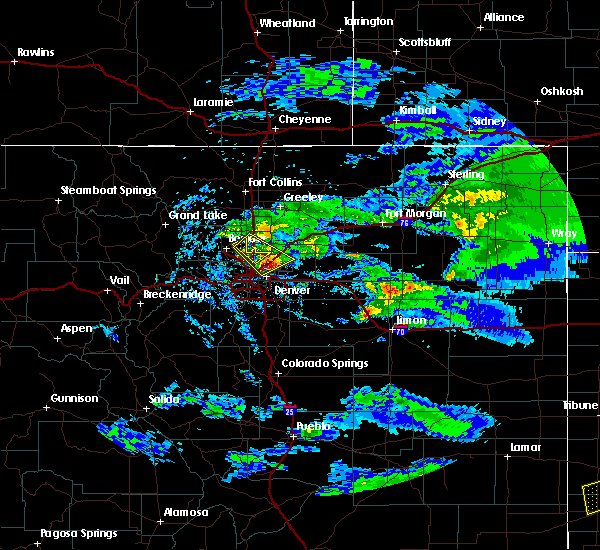 6/4/2015 6:29 PM MDT At 627 pm mdt, a severe thunderstorm was located 4 miles east of berthoud, or 15 miles southwest of greeley, moving south at 5 mph (trained weather spotters have reported large hail at several locations in northeast boulder, southeast larimer and south weld counties. 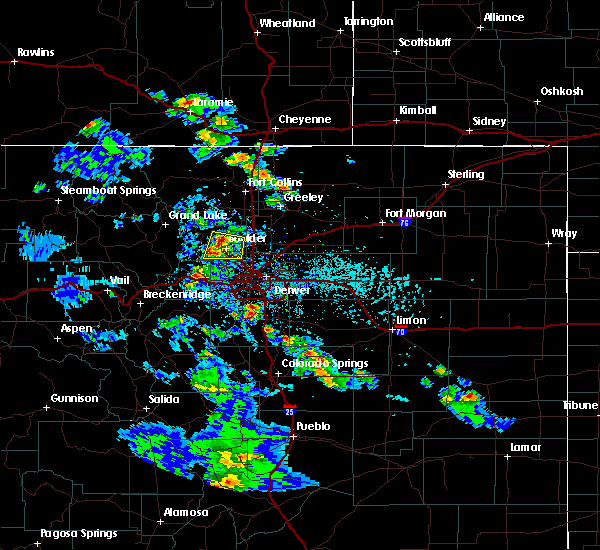 some brief funnel clouds have also been reported). Hazards include half dollar size hail. Damage to vehicles is expected. heavy rain may also cause localized flooding or standing water, especially along the i-25 corridor between berthoud and loveland. locations impacted include, longmont, loveland, lafayette, windsor, erie, firestone, johnstown, frederick, milliken, berthoud, dacono and mead. 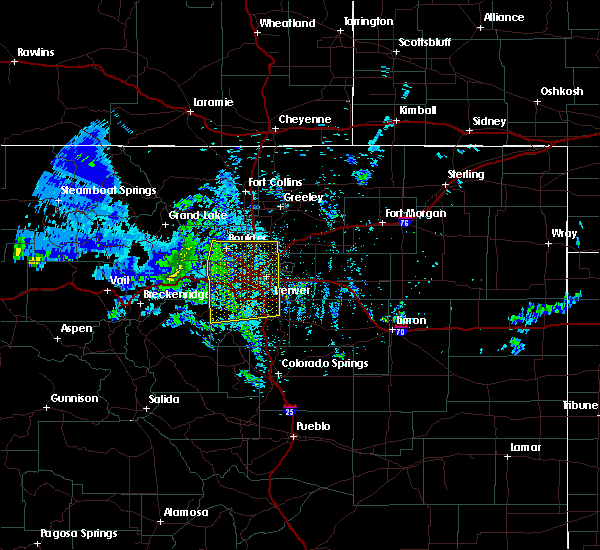 A tornado watch remains in effect until 1000 pm mdt for northeastern colorado.